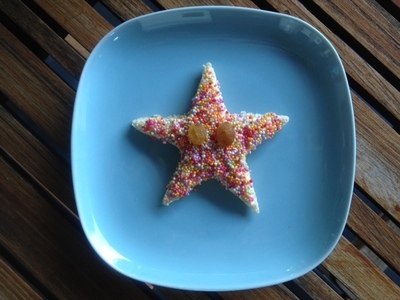 This cute little 'fairy bread' starfish makes a tasty treat or would be fun party food at a birthday party. 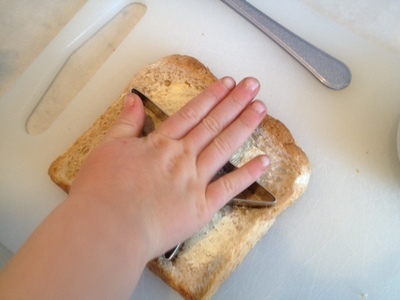 It's so easy to make that even young kids can have fun creating the treat. 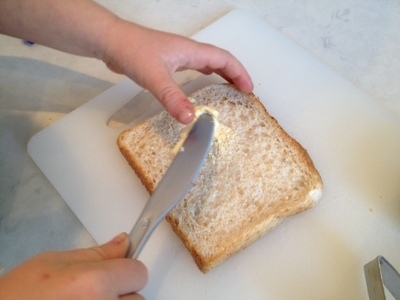 Spread a slice of bread with a thin layer of margarine. 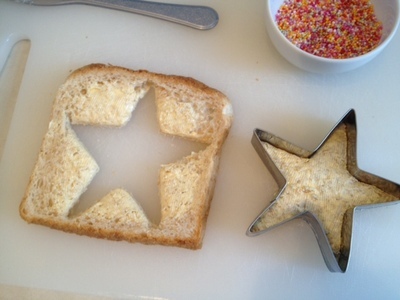 Cut a star shape out with a cookie cutter. 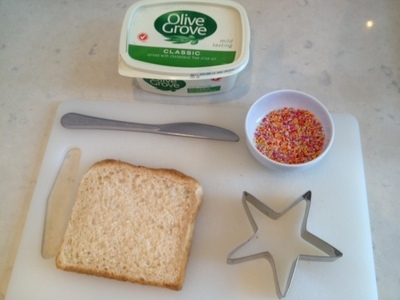 Cover with 100s and 1000s sprinkles and shake off the excess. 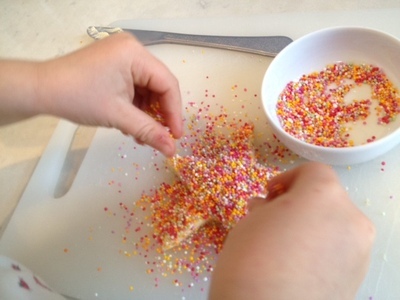 Lay on a plate and add two sultanas or choc chips for eyes.